Tax season is in full swing. There are usually two types of people during this time of year: people who dread tax season and can’t wait to file and be done and the people who are eager to file in hopes of receiving a refund. I’ve heard some great arguments for why people shouldn’t receive a tax refund and how it’s like giving the government an interest-free loan. Personally, I’ve always received a refund because I’ve always claimed my son. Sure, you can ask your employer to withhold less of your income to reduce your chances of getting a refund, but if you are a parent and have a traditional employer it’s likely that you will get a refund thanks to tax credits and there’s nothing wrong with that. What’s not in your best interest is to blow your refund money on expensive electronics, a new car, and shopping sprees when your finances are in disarray. Getting a tax refund will not make your rich and may not instantly turn your entire financial situation around, but it can help you make some progress. Here are 4 ways to utilize your tax refund to get ahead financially. If you are drowning in debt, making a lump sum payment will not only help reduce your balance, but it can boost your motivation as well. Seeing your balance decrease evoke a huge positive shift in your mindset and the lump sum payment may even be able to eliminate the last of your debt for good. Last year, I used 90% of my tax refund to pay on my car loan and I was ecstatic to see the balance decrease by such a large amount so quickly. The lump sum payment gave me the motivation and determination to pay off the rest of my loan by the end of last year instead of carrying the debt into this year. If you have been dragging your feet with investing these past few months, jumpstart your portfolio by using your refund money to invest. Sure, investing doesn’t sound too exciting especially if you have other things you would prefer to do with your money. However, it’s a sacrifice that will pay off in the long run. If you delay your gratification today and choose to invest, that money you set aside will grow over time and be available for use tenfold one day in the future. You might even be able to max out your retirement account this year with help from an extra payment from your refund. Expenses and emergencies can pop up any time when you least expect it. You can save yourself a lot of stress by maintaining a well-stocked emergency fund with several months’ worth of expenses. If you got laid off or your car broke down, it will be a relief to know that you have money in the bank to help cover your expenses. Relying on credit cards for emergencies is not a good solution because it can put you in debt and make you lose even more money if you carry a balance and have to pay interest. If you need to restock your emergency fund, commit to putting all or a portion of your refund in a high-yield savings account to wait for a rainy day. Trust me, you will be glad you have the money when you need it. If you are considering going back to school, using your tax refund to put money toward tuition is a great way to ease the financial burden and reduce the amount of student loans you would have to take out. You can also get a head start on your child’s college education by contributing some money into a 529 account. Projections on the cost of college in the next 10-15 years are scary. If you want your children to be able to obtain a college education without taking out a ton of student loans, it’s best to start setting money aside now. If you’re not a finance nerd like me, I’m sure a lot of these responsible ways to use your tax return might sound a bit boring. My warning to you is to not be fooled by all the deals advertised on television and online during this time of year. Merchants, retailers, and maybe even some of your friends may be pressuring you to spend money on items and services that you normally don’t purchase. Whether it’s a new car, a cell phone upgrade, concert tickets, etc. those won’t be long-lasting ways to make your money work for you and turn your financial situation around. A tactic that helps me avoid trying to spend my tax refund on updates and enhancements for my home and clothes is budgeting in small amounts of money to use to treat myself and entertain myself all year-round. 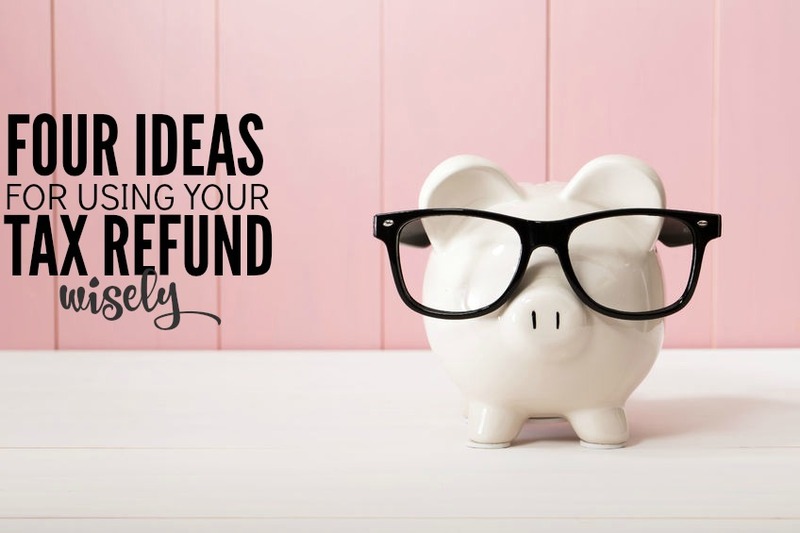 Even if I know I’m going to get a tax refund in the spring, I pretend that I’m not so I won’t splurge and plan on ways to spend my money that won’t help my bottom line. It’s okay to treat yourself and purchase something that you like just for fun but you shouldn’t feel the need to do that until tax season. All the advertisements and societal pressures can easily allow you to go overboard. 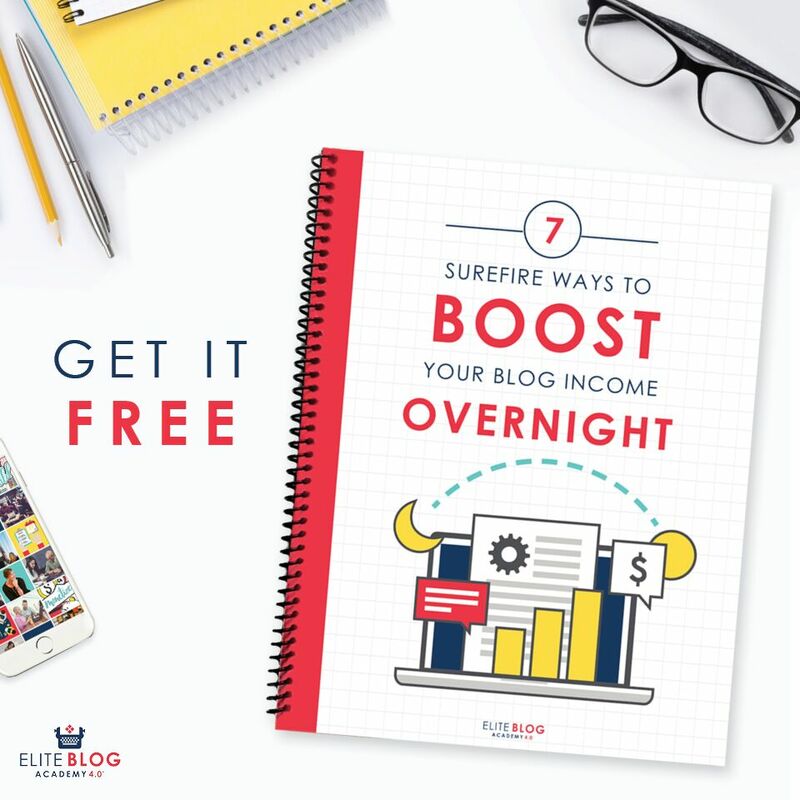 Instead, increase your income so you can make leisure purchases in moderation all year round and if you happen to get a tax refund, kill off your debt or do something that will improve your finances and help you build wealth. 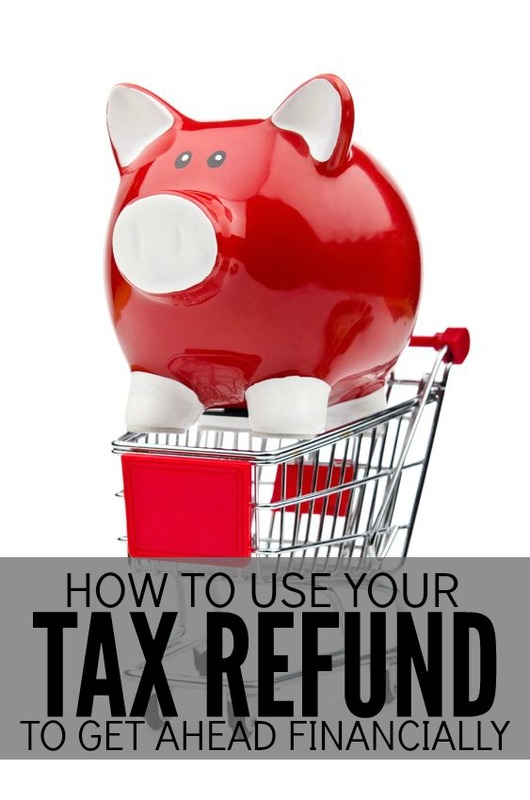 Do you get a tax refund? What are some additional ways to spend it wisely? Yes! This is great advice. When I hear people already planning to spend their refund, I cringe. It’s the perfect time to get ahead financially instead of blowing it on more stuff. Exactly! If you need things for yourself, your family or your home, I get that. But if you have debt or a low balance in your savings account, it’s the perfect opportunity to better yourself. We are going on a big trip this year, and putting $ into a porch. That sounds exciting! I can’t wait to travel more once I get my finances in order. I always hate it when I hear people saying they will use their tax refund to go on a vacation, or to buy something they don’t really need. It’s crazy the way most people use their tax refunds. What I don’t care for is when people believe they should treat themselves just because they are getting a tax refund when they know that other areas of their finances need improvement. For example, I took a vacation almost two years ago knowing I was deep in debt and felt super broke and guilty afterward because I could have used the money more responsibly and needed to penny pinch throughout the whole trip anyway to it took away from the experience. But if you have plenty of savings, are debt free or at least have a good handle on your debt, and are going to max out your retirement and meet all your other goals for the year, there is no problem with doing something special for yourself or splurging a bit. It’s all about priorities and moderation. Just about everyone I know has a spending plan for their tax refunds. Meanwhile, I have a savings plan! The remaining balance on my credit card will be paid and the maternity bill from last year has to go! I can’t wait! Sounds like a plan! If I get anything back this year I want to throw a majority of it toward debt again but it’s up in the air since I earned quite a bit of freelance income last year. Pay yourself first! I always put mine into my Roth IRA. Make sure you are set up for retirement and let it compound! Such great advice! I know first hand how hard it is to part with your money and invest it year after year but it will certainly pay off. Woah that’s a lot of money! I have no idea what to expect this year, which is why I’m not setting any expectations or strict plans for any money I might have leftover. Hopefully everything goes well with your taxes this year and the IRS keeps up with all your stuff. Because my husband’s travel for work is unpredictable we typically end up with a decent return. Our taxes have been filed and we should see our refund in the next couple of weeks. We will be first topping off our e-fund and the rest will get us 40% of the way toward replacing our windows in our home. It will be so AMAZING to pay for it in cash! !